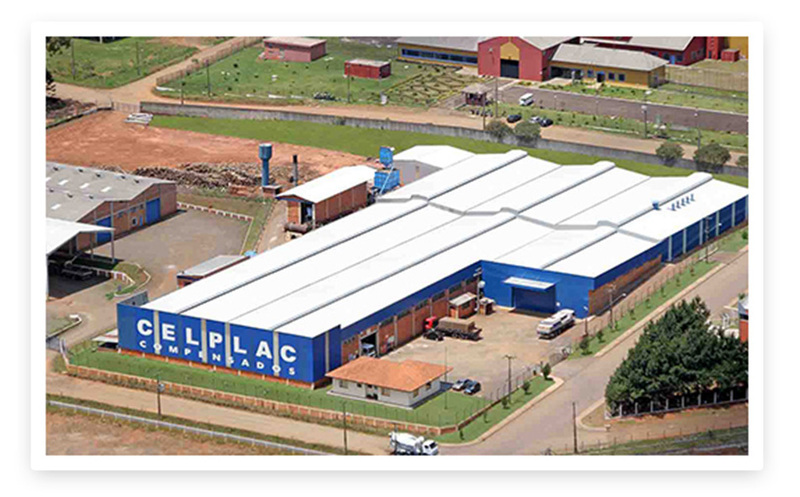 Celplac was estabilished in 1980 with a view to planting forests for future industrial developments. In 1998, the company started producing multi-layer plywood made of tropical wood, eucalyptus and pine, intended for the road equipment and logistics market, encompassing truck floors, plywood for containers and pre-cut for general use. From 2005 on, it began operating in the overseas, where it sells a significant portion of its production. In 2011, it started producing plywood for construction purposes in addition to packaging using pine and eucalyptus woods. Quality, credibility and innocation are the key pillars of our history. Alongside the respect we have for our customers and the environment, it helps us design a successful path. To produce high-quality plywood in a sustainable and profitable manner. To be a company admired for its quality products and organization. Honesty, Humility, Simplicity, Respect.